Cape Cod is the eastern peninsula of Massachusetts, named by Bartholomew Gosnold in 1602, who caught a large number of cod in the vicinity. 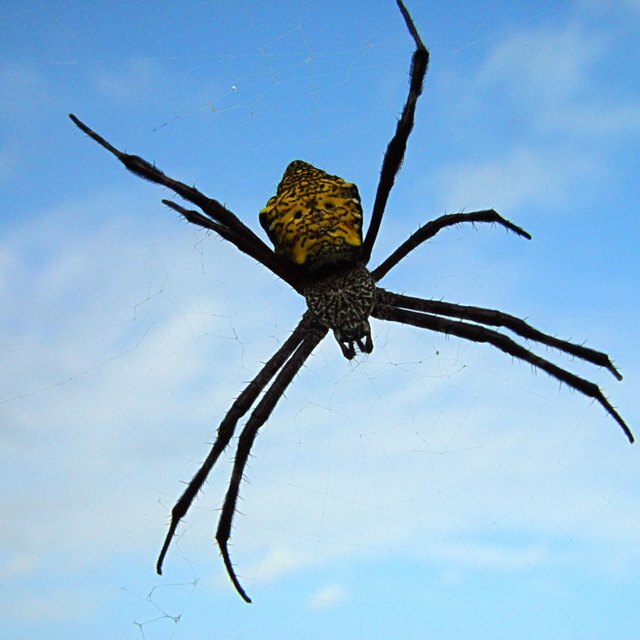 A great variety of spiders are found in the beach environment of Cape Cod, including poisonous and nonpoisonous species such as black widow and wolf spiders. Massachusetts is home to both northern (Latrodectus variolus) and southern (Latrodectus mactans) black widow spiders. Black widow spiders are a glossy black color with a identifiable red hourglass shape on their bodies. The northern black widow spider's body has additional red dots. According to Michigan State University, the venom of a black widow is "15 times more toxic than that of rattlesnakes." Northern and southern black widow spiders have a nonaggressive personality towards humans, and black widows only bite when they feel physically threatened. Wolf spiders are prevalent in Massachusetts. Two species of wolf spiders that burrow, Geolycosa pikei and Geolycosa turricola, are found on Cape Cod. Burrowing wolf spiders live in burrows under the ground instead of in webs, a living arrangement that protects wolf spiders from the weather and enemies. Measuring up to 2 inches, wolf spiders have hair and are shades of brown and gray. Jumping spiders (family Salticidae), particularly the species Platycryptus undatus, have been observed on Cape Cod. 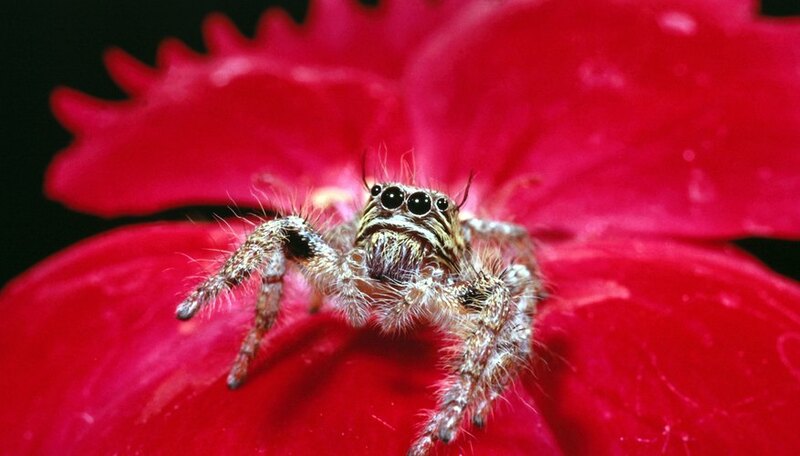 Named for their ability to jump great distances during their daytime hunts, jumping spiders grow up to approximately 1/2 inch in size and have a variety of colorful and neutral markings. According to California Poison Control System, "The jumping spider is probably the most common biting spider in the United States." The nursery web spider (Pisaura mirabilis) lives on Cape Cod. Nursery web spiders are large, sometimes up to 3 inches, and some spiders of this species have orange-brown coloration. The nursery web spider is named for the protective web the female spider weaves to enclose her babies and their egg sac. Kira Robbins is a freelance writer who has been writing and photographing since a young age. Robbins' articles from high school were published in her local newspaper and earned recognition in competition. She graduated from Pikes Peak Community College with an A.A. degree & hopes to continue her education in photography. Robbins, Kira. "Spiders of Cape Cod, Massachusetts." Sciencing, https://sciencing.com/spiders-cape-cod-massachusetts-8765249.html. 25 April 2017.